This is what we are teaching our children? And we think that leads to happy, healthy, independent, secure, stable, engaged, responsible and inspired adults? I don’t think so………. 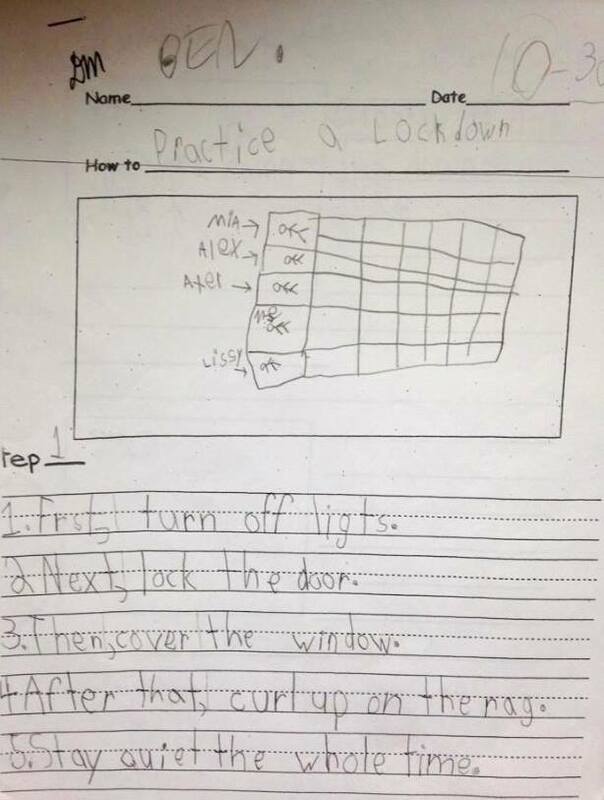 I can’t imagine growing up with this type of horrible activities (practicing for a lock-down) – we just breed fear and more fear. I think we need to re-think as a society how we’re handling the violence that seems so prevalent – I don’t claim to have the solution, however I don’t think we’re on the ‘right’ track! Fear is very debilitating to our brain – it doesn’t make us think creatively, outside the box, with new ideas and awareness. We just end up functioning from our very basic fight/flight mechanism – no learning happens there……. I hope we can come up with a different approach to all this very very soon.